The term Smart Microsystem refers to micro and nano-scale devices that combine electronic integrated circuits with additional, non-electronic components on a single substrate; thereby providing additional functionality. Such microsystems can be sub-divided into a myriad of application groups, including chemical, biological, optical, mechanical, electromagnetic and fluidic. 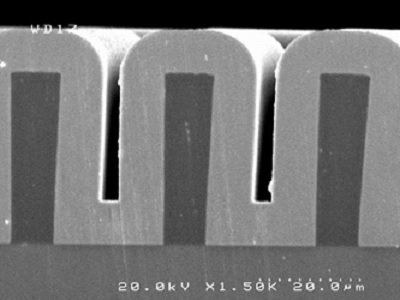 The substrates on which Smart Microystems are fabricated are predominantly CMOS silicon but may also include compound semiconductors, glass, sapphire and flexible polymers. The sizes of the substrates could be anywhere from 200mm diameter wafers down to millimetre scale chips. As state-of-the-art CMOS technology is readily available from foundries without the need for any capital investment, the potential exists for SMEs and start-up companies to readily exploit any technology that is developed. Moreover, as IC foundry-processes are updated, the technology is immediately accessible making any technology/product development future-proofed without additional financial outlay. Technologies such as the integration of novel materials and 3D integration at both wafer and chip scale can be implemented by post-processing standard foundry wafers, taking full advantage of wafer bonding techniques developed primarily for SOI and MEMS applications. More than Moore technology in the form of smart microsystems provides opportunities for integrating a wide variety of technologies with silicon to provide a wealth of R&D opportunities that can readily be exploited.